In the next several years after their move to Cambridge, MIT had established itself as a premier research institution. And with President Richard C. Mclaurin’s advocacy of the so-called Technology or “Tech” Plan (1919), the Institute pursued an ever-increasing number of collaborations with industrial corporations. Beginning at the turn of the 20th century and following the departure of MIT President Henry Pritchett, Acting President Arthur Noyes (1907-1909) pursued closer ties with industry to enhance the Institute’s reputation for superior science-based research. The Research Laboratory of Physical Sciences, which Noyes, a chemist, established in 1903, was the hub of this “reformist” movement. Competing with Noyes was a group headed by chemist William Walker, who wanted even more extensive contacts with scientific corporations. Still another faction headed by the chair of the Department of Electrical Engineering, Dugald Jackson, founded the Research Laboratory of Applied Chemistry (RLAC) to even more directly involve industrial patrons. Ultimately this laboratory failed in its mission. 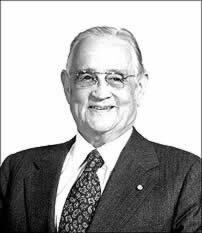 Enter President Mclaurin, who was able to bring in patronage from such corporations as Dupont, Eastman Kodak and General Electric, to name a few. Walker and Jackson supplemented this effort by creating the School of Chemical Engineering Practice. Here, MIT professors would instruct students in areas of study of particular interest to corporations. Controversially, however, the corporations claimed the results of the research. Professors could not publish results of their research, which was needed for the advancement of both their careers and their field. To administer relations between the Institute and Industry, walker set up the Division of Industrial Cooperation and Research (DICR). Noyes voiced opposition this plan and left MIT in 1919. There was a prevailing feeling at this time that the Institute was moving from a research center to a technical school. Two reformists, Gerard Swope, president of General Electric and Frank Jewett, head of Bell Telephone Labs (both officers and advisers of MIT), brought in a new president, Karl Taylor Compton, who like them, believed in a strong science curriculum to prepare engineers to enter the world of industry. Compton and his vice president, computer engineer Vannevar Bush, ala Noyes’ position, supported close ties with industry, but they were determined to strike a balance between the needs of industry and the needs of academic research. By the 1930s, MIT had gone from a technical institute that trained scientists to a full-fledged research institution. It not only prepared scientists to enter scientific fields, but was increasingly involved in industrial research. In September of 1940, Karl Compton and a number of American and British colleagues from the scientific community attended a “party” – in actuality a clandestine meeting where British officials unveiled a device called a ten-centimeter cavity magnetron. This instrument, which the British were willing to “give” the Americans – in exchange for developing the technology which the British government was not in a position to do at the time – was to be critical in the development of Radar technology. It was widely considered to have been of crucial importance in the British victory at the Battle of Britain earlier that year, and out of this meeting, the MIT Radiation Laboratory or “Rad Lab” was born. 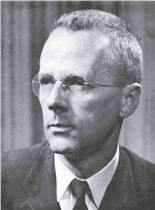 Coincidentally, there had already been a committee formed by the U.S. government, the National Defense Research Committee, or NDRC, which included Compton, who headed its “Division D” dealing with microwave technology; Wall Street financier and lifetime MIT Corporation member Alfred Loomis, Vannevar Bush (who had since become head of the Carnegie Institution and chair of the NDRC), and Ernest O. Lawrence of the University of California. Lawrence was asked if he might head the new radiation lab at MIT, but declined to continue to work on his own continuing projects at California. He did, however, become an instrumental adviser in the lab’s creation. The job instead went to Lee DuBridge, head of the University of Rochester’s Department of Physics. Charles Stark “Doc” Draper was an aeronautics expert who, at the MIT Confidential Instruments Development Lab (Building 33), presided over a group of scientists who contemplated how to control the firing of ammunition. With a partnership he entered into with Sperry Gyroscope, they were able to develop a revolutionary new gun sight that helped the war effort. This was an oft-copied template at MIT going forward: labs blended instruction with real-world problem solving. 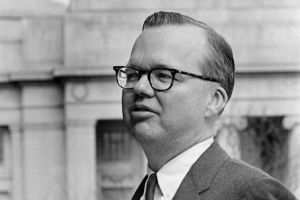 Jay W. Forrester, pioneering engineer/manager of MIT's "Project Whirlwind"
was made assistant director of the “Servo” lab – where he would develop a new type of flight simulator that became “Project Whirlwind,” which in turn laid the groundwork for Forrester’s development of the first real-time digital computer. The war effort had shown that MIT could work with the military to create products that were invaluable for the comfort and wellbeing (not to mention efficiency) of our soldiers: gas masks, flamethrowers, freeze-dried foods, and aerial nighttime photography, to name just a few. MIT had become a true innovator in military technology. in Vietnam brought the whole issue of how the military and science co-existed to a boiling point. Previously, the military had helped win World War II; but now, in the wake of the “Cold War” and political concerns over the rise of communism in Southeast Asia, MIT and other technical schools were being forced to face some hard political realities of their role in the military. Professors such as linguist Noam Chomsky and “Cybernetics” expert Norbert Wiener registered strong opinions about what MIT was doing for the military and in the case of the former, advised MIT faculty and administration that they had a moral and social as much as a patriotic obligation in all their research. The so-called “special” laboratories that carried out much of that research were particular targets of the dissenters’ ire. On November 5, 1969, protesters’ verbal protests became more animated. On that day, some 350 student protesters (some waving Viet Cong flags) approached Draper’s Instrumentation lab. Draper pre-empted their demonstration somewhat by inviting them into the lab, and though there was some shouting, Draper’s actions calmed things down to where the protesters eventually left. The eventual decision to close the Instrumentation Lab and along with Draper’s departure for Cambridge’s Technology Square – where he opened his own lab – struck many as appeasement to the protesters, who were largely seeking MIT’s divestment from military research activities. Several of these special labs sought to wean themselves from federal defense projects with limited success. 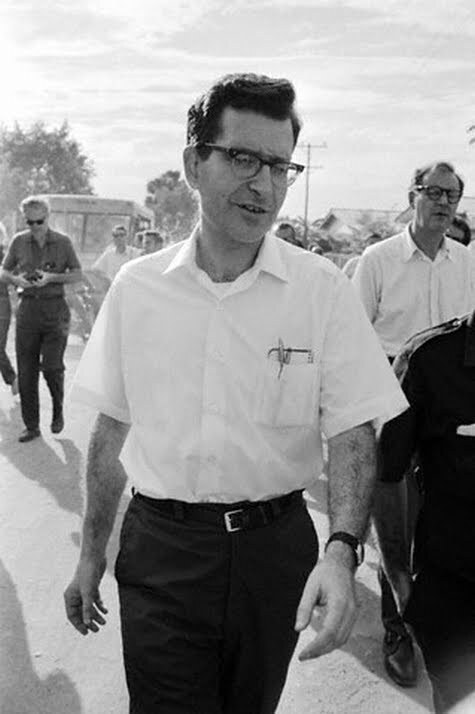 More recently, debates have centered such controversial projects as the “Strategic Defense Initiative” (SDI), an anti-missile shield project advocated by President Ronald Reagan in the 1980s, and presently with the “War on Terror.” But the protests that were held during the 1960s – resulting in, among other developments, the formation of the Union of Concerned Scientists – began a cultural sea change in how institutions like MIT balanced the need to perform national defense research with larger political and societal questions. 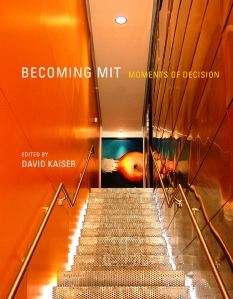 In the fourth and final installment of Becoming MIT: Moments of Decision, an examination of gender issues regarding MIT faculty and a summary.